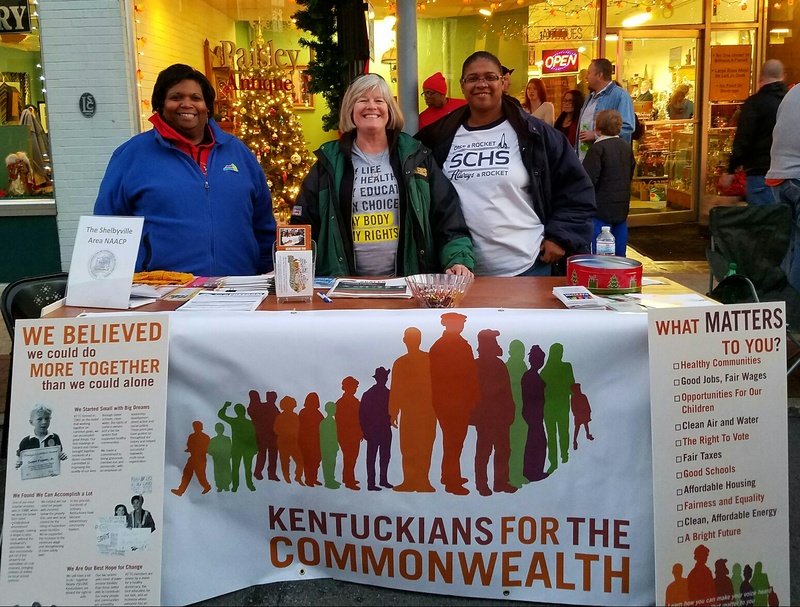 Shelby KFTC (Lisa Aug, center) with allies at Light up Shelbyville Saturday. By sharing our space with Shelbyville area NAACP (President Janice Harris left) and the new Shelbyville Simpsonville human rights commission (vice chair Andrea Cottrell, right), we drew more people and were able to spread the word about all three organizations. Stronger together! Photo by Ariane King.